There is never a convenient time for a loss to occur on your residential or commercial property. Our SERVPRO of Clay County team understands the stress and worry that you feel after experiencing a loss of any size. Our goal is the right by your side from start to finish to make sure that you and your property are taken care of. 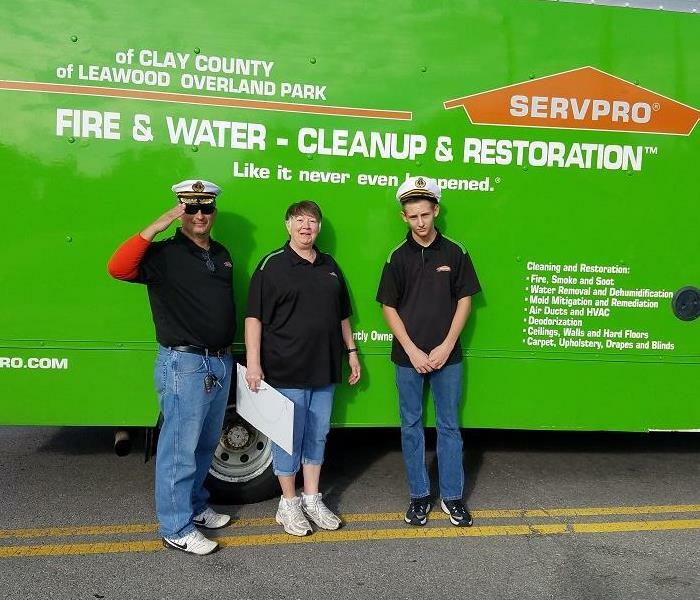 SERVPRO of Clay County are specialists in the cleanup and restoration of fire and water damage on your residential or commercial property. Our team can also properly remediate mold and mildew from your home or business. In need of a deeper clean to your home or business, we can help! Serving you since 1967, SERVPRO is the cleaning and restoration brand you know and trust. Our team is highly trained in property damage restoration. From initial and ongoing training at SERVPRO’s corporate training facility to regular IICRC-industry certification, rest assured our staff is equipped with the knowledge to restore your property. We have helped all types of customers, from residential to large commercials, such as the Sprint Center.